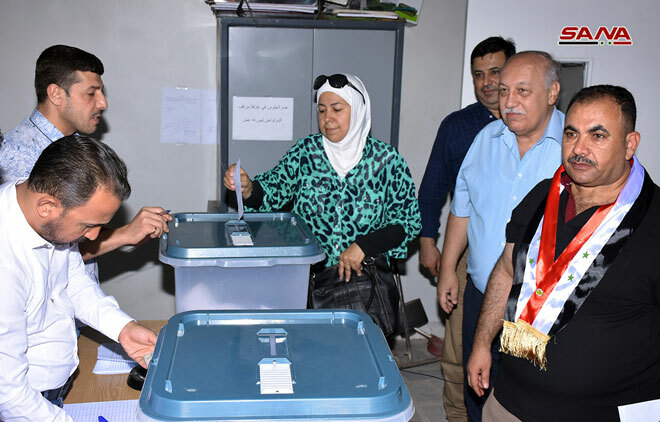 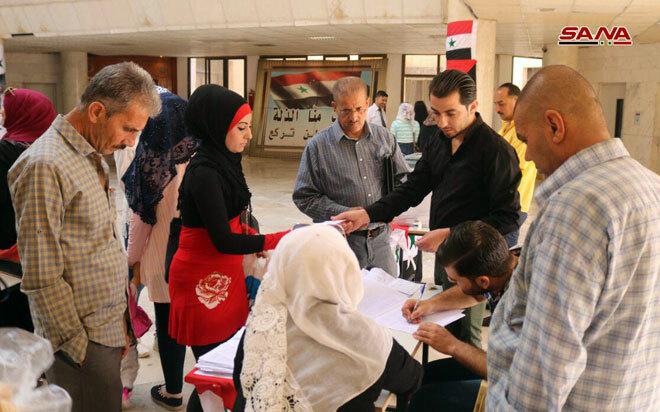 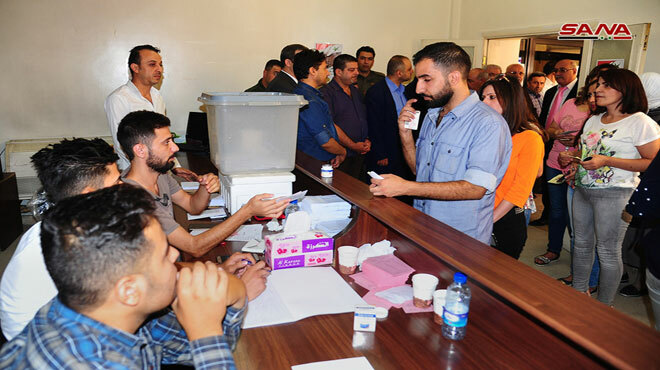 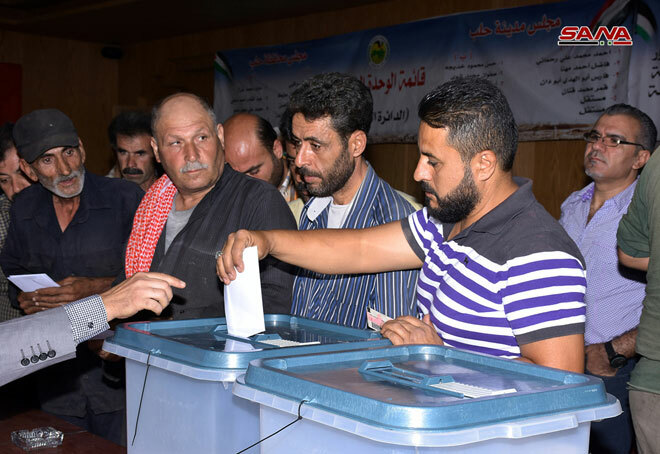 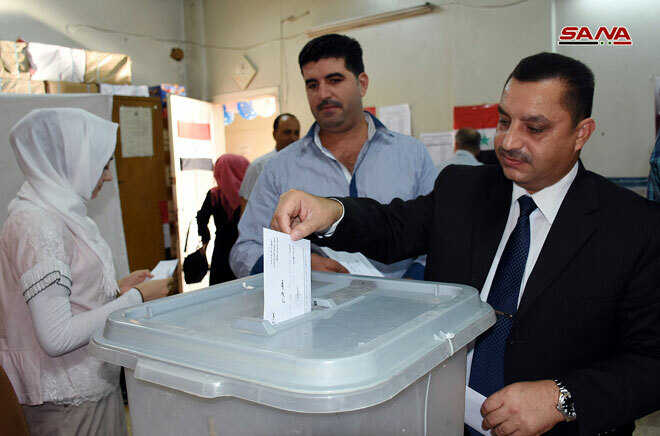 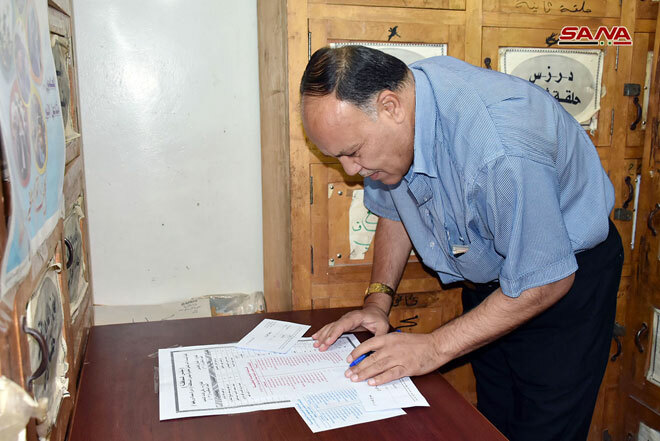 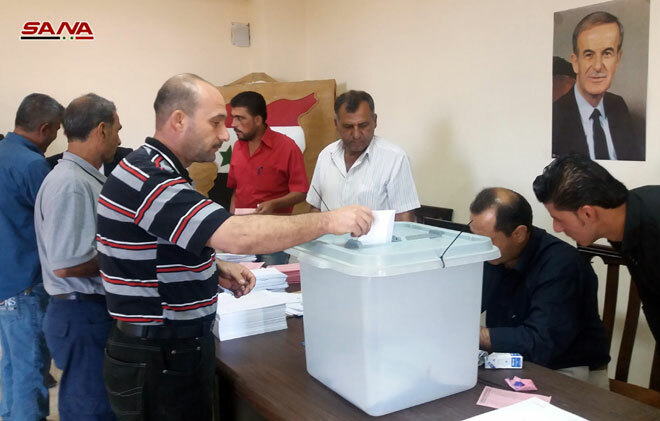 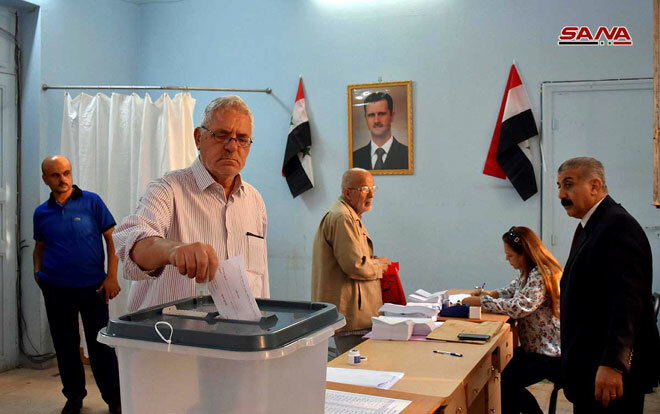 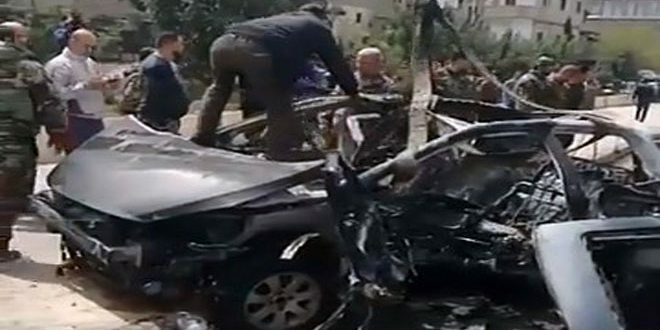 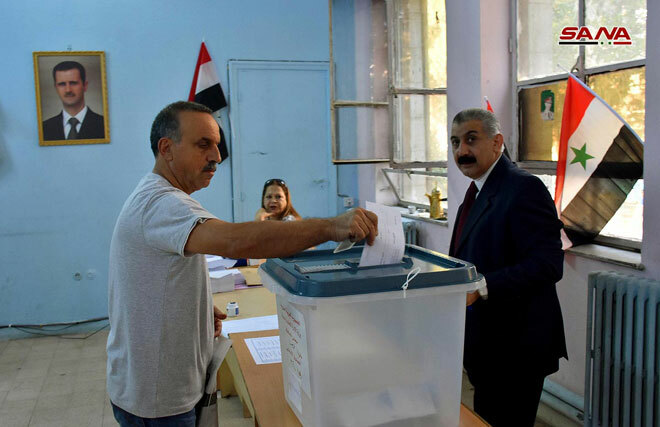 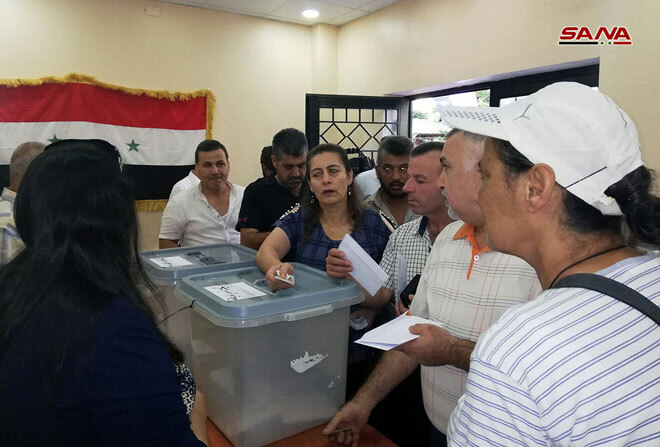 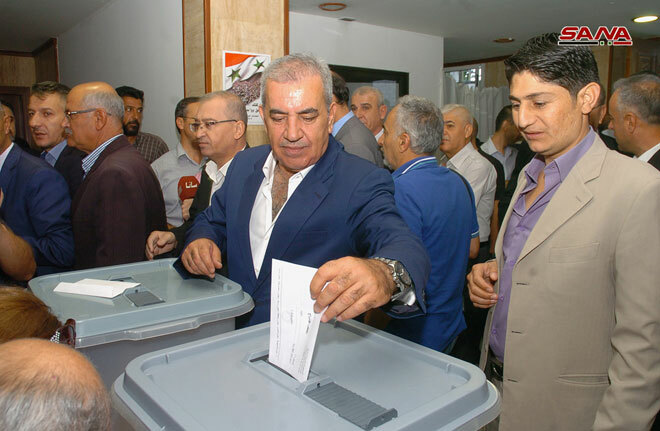 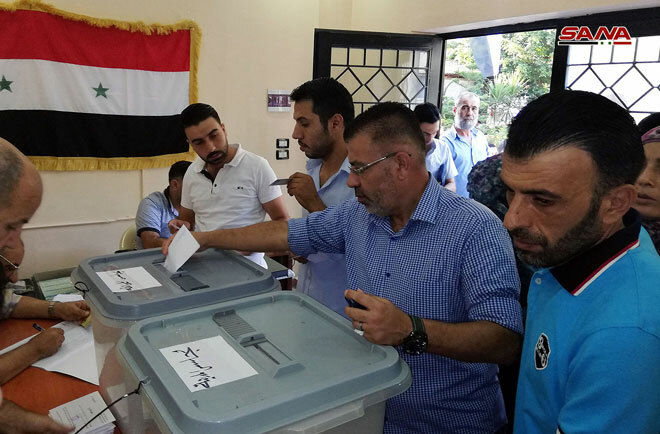 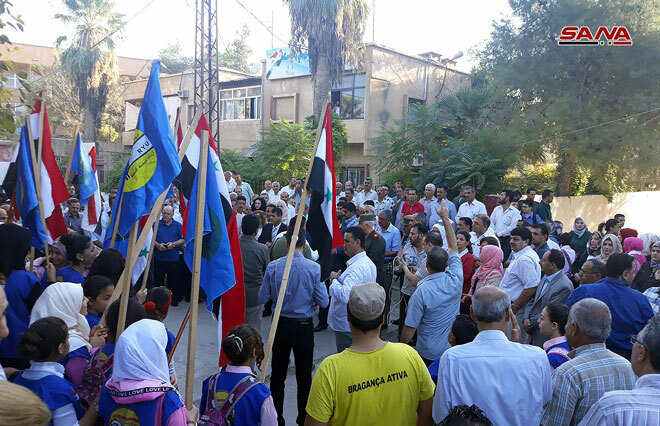 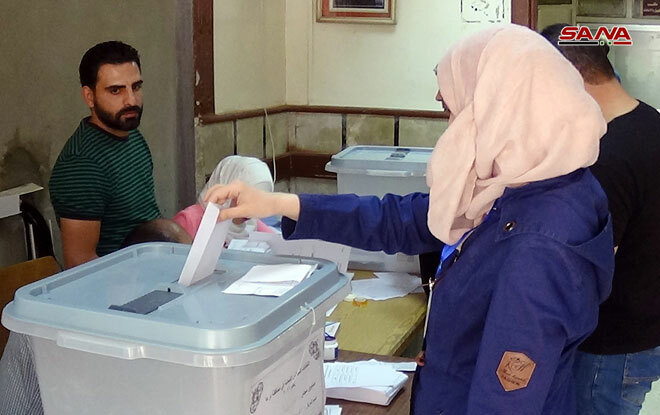 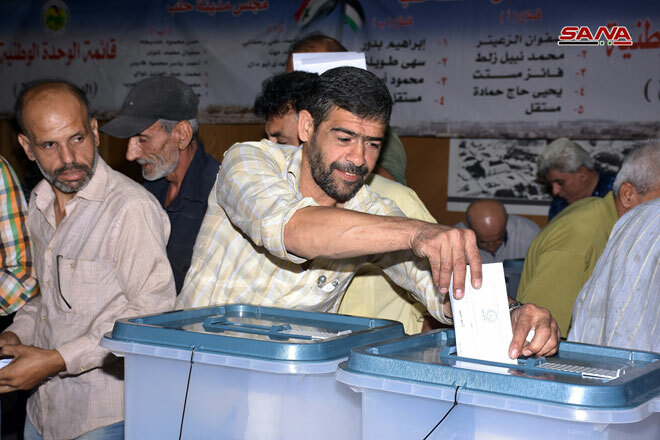 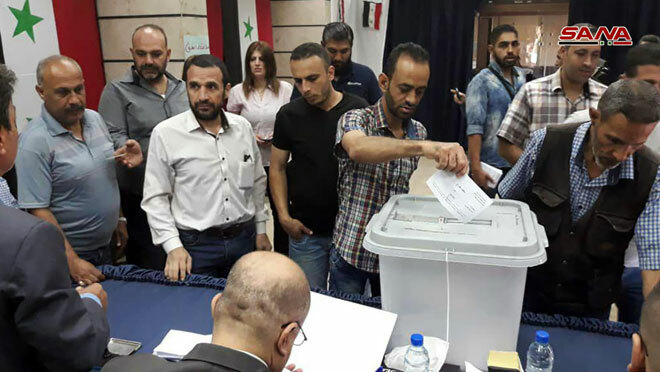 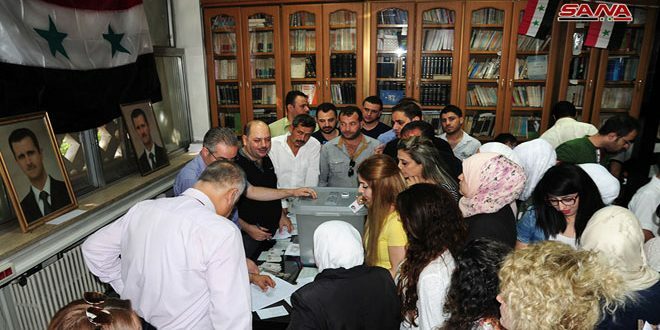 Damascus, SANA- Elections for Local Administration Councils kicked off on Sunday morning with the participation of more than 40,000 candidates competing for 18478 seats. 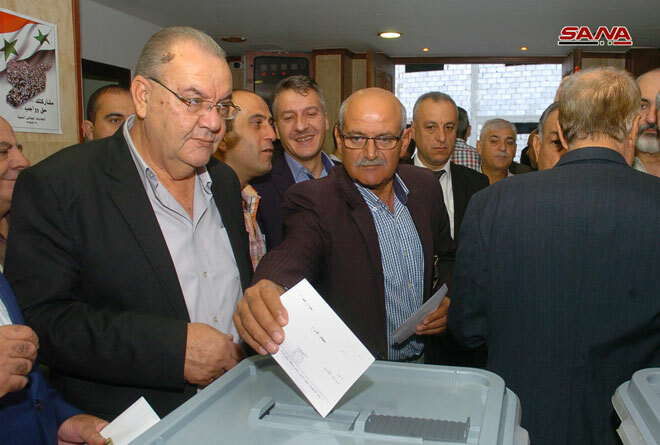 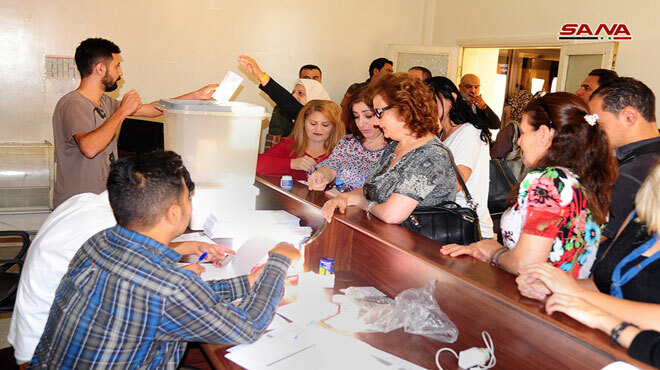 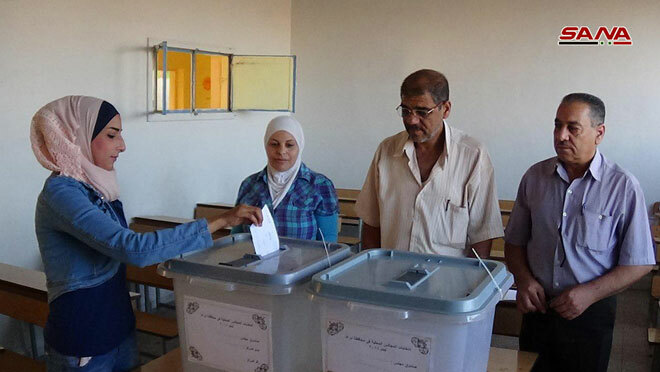 After the opening of the polling stations at 7:00 am, citizens began to cast their votes, expressing desire to participate actively in this constitutional event which will strengthen the powers of local councils and achieve balance in the development process through the powers given by the local administration law to the councils of provinces, cities, towns and municipalities. 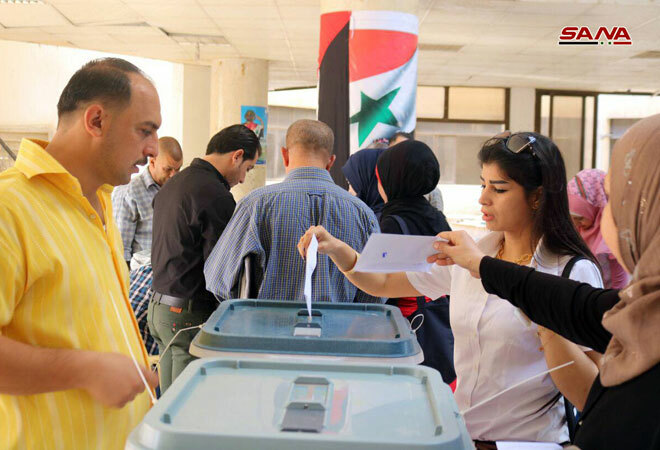 According to Article no.125 of the Constitution, the local councils are institutions through which citizens exercise their role in the sovereignty, state building and society leadership.